In the hectic world of events, time spent on event social media marketing can feel wasted. Here’s how to make sure you’re getting the most out of every second. Like it or not, social media is everywhere. If you’re an organiser, it’s key to promoting your event and connecting with attendees. It can be a daunting task to tackle social media when you already have a million planning and logistical tasks on your event or conference to-do list. And people often think of social media event marketing as a time-consuming task that doesn’t deliver any real value. But when it comes to the marketing channels that drive hype, engagement and attendance, social media is right near the top. One of the best feelings in the world is walking into your conference and seeing it full with people. Social media can help get you there. Social media has revolutionised the way people experience events. Whether you’re promoting a concert, organising a protest march or hosting a research conference, social platforms are important tools for communicating and mobilising people. And for nonprofits and associations, social media marketing is now an instrumental part of growing an event. New social network are popping up every day, and it’s becoming more and more difficult to be heard amongst the noise on Facebook and Twitter. That’s why you need a social media strategy that takes advantage of the right networks where you can drive the most ticket sales. And because organising an event is nothing if not time-consuming, you need to make an impact instantly. Managing your time when organising events is crucial, therefore you need to ensure that you are using the right social networks. Less is often more when it comes to selecting social media networks for your event or conference. So be picky and choose only the networks your target audience actually uses. If you feel you need more time on it, hire someone part-time or save time in another way such as using software that’s designed to manage conferences. Some social media channels are better suited to certain types of events, and you should tailor your tactics accordingly. Start by familiarising yourself with the most popular social networks. To save time, focus on the channels with the widest possible reach. Facebook is the largest with the highest amount of monthly users, with Instagram in second place, then Twitter, Snapchat and finally LinkedIn and Pinterest. If your event is using a mobile conference app these apps will be within a flick of your attendees’ fingers. Facebook is the channel most widely used across the board, with 68% of online adults actively using Facebook. If you’re running a large-scale event that’s free to the public, Facebook is often the best option. This is because once you’ve added your event to the site, you can use targeted advertising to promote it to your ideal audience. This will help you invite people, keep your delegates up to date and help spread word of mouth marketing. Instagram is best-suited to less-formal events. It’s a great way to source and engage with delegates. And because it’s generally more visual than other social media channels, it’s a brilliant platform to post and curate high-quality, shareable imagery. Instagram is great for pairing with your other social networks as it doesn’t allow you to put links in the descriptions of the images. Snapchat is a booming social media platform very popular amongst 16-30 year olds. Tons of businesses and event organisers are using it to communicate with customers, show them behind-the-scenes preparations, and have one-on-one interactions that build personal connections. You can also make a geofilter for your event, which is a great way to build awareness and excitement for your conference. Current and timely posts work great on Twitter. Twitter tends to be used by younger tech-savvy folks and thought leaders, and users are usually most interested in news, quick tips and trending topics. Use quick, amusing and eye-catching updates to engage them with your conference. A tweet reaches its peak after 18 minutes, so you will have to post more often here than on the other social networks. LinkedIn is used uniquely as a professional networking platform and so it’s best for events targeted at academic, career- or business-driven delegates. You can set up your event on LinkedIn and let attendees start networking with each other. You can also create a group on LinkedIn to help your delegates connect before your event. Take a good look at your conference attendees, consider where they spend their time. For example, with a research conference, Instagram would probably not be applicable, whereas Facebook, LinkedIn and Twitter would be. If you’re organising events or conferences you should spend time listening and understanding what social networks your delegates use, if you don’t you can add in a simple question as a survey about what social media they use post ticket purchase. 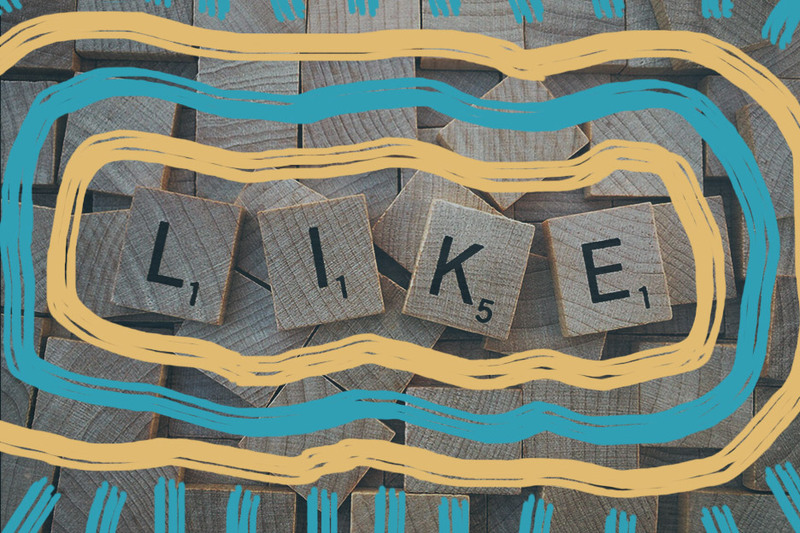 While you’re putting your master social media strategy in place, don’t neglect your event’s social media profiles, after all they’re part of your social presence. Your bio is one of the first thing people see when they check out your event, so make the most of it. This bio needs to reflect the personality of your event or conference. It must include a description of the event, the location, the date and a link to your site. When you’re planning a social media campaign for an event or conference, it helps to break it down into phases. Each phase should have its own goals. Brainstorm with your team before the event to decide what to post. Aim to strike a balance between promotional posts and conversational ones. Building anticipation can certainly drive ticket and registration sales, but be careful not to annoy your audience while promoting ticket sales. Promoted content is always an option for your high-quality posts but make sure the marketing spend fits into your event or conference budget. Engage with your audience. Don’t be shy and reply to tweets about your event, get to know your delegates through their social profiles. According to marketing data, nearly as many posts are sent in the run-up to an event as during the event itself (40% and 42% of total posts, respectively). This makes the buildup to your event a prime time to engage both potential attendees and those who’ve registered. Lay out clear goals for your social media campaigns. This will enable you to understand which social networks are best. Each social network has inbuilt metrics which I’ll go into in more detail later. Structure your social media promotion around several key announcements or deadlines. Then drip feed content such as major dates or activities, speaker announcements, special guests, or deadlines for early-bird tickets. This enables you to repeatedly promote your event while keeping the message fresh and relaying important information to your audience. Where possible, aim to catch the eye of attendees. For example, you could release your list of speakers as a video, picture or an infographic. Pair this with your eye-catching conference branding and you’ll have a post that gets noticed. Whichever social network you choose, it’s important to use a unique event hashtag. A hashtag enables your attendees to contribute to the conversation, thereby creating extra buzz around your event. Pick a hashtag that’s short and memorable so influencers and attendees can recall it easily. You should also check that it’s the first time your hashtag has been used and that it doesn’t overlap with any of your competitors. Once you’ve chosen your hashtag, use it early and often. Add it to all your event social media posts as soon as you’ve set up the event. The earlier you use the hashtag, the more time your target audience has to engage and interact with it. Enlist your supporters. Reach out to a handful of dedicated supporters and influencers and ask them to post about your event. It’s also worthing calling on any sponsors or partners to promote the event on social media. Send them sample text or images that they can easily post to their social networks. Share behind-the-scenes action. Posting an attention-grabbing behind-the-scenes photo on your networks will make followers feel like they’re in on the action and will help build excitement about the event. Share last year’s snaps. If it’s a repeat event, share photos of delegates enjoying themselves at last year’s event. People want to see what they’re registering for, and a fantastic way to do this is to show them images from a last year’s event. Add your logo and the event name to the image and tweet the photo to encourage new participants to participate. Be generous with resources. Set up a resources page on your website with all your social media handles, the event contact details, important links, free resources, videos from previous years and books to make it easy for your audience to continue learning from you. Create a Twitter list. Add attendees and speakers to a handy Twitter list. This will aid you in connecting with delegates early on, and see what they are posting about leading up to the event. Your social media work before the event is about awareness and registrations, but during your event, your objectives shift. Once your event kicks off, the majority of your social media posts should be multimedia-based. Eighty-five percent of in-event posts include multimedia elements, such as images, videos, and quotes. Only 15% are plain text. This is a good rule of thumb to follow for your strategy. During your event, you should seek to do the following. Use social media to understand what your target audience loves about your event or conference and what they don’t enjoy as much. This is where your event hashtag becomes more important as it enables you to find all the posts about your event in one stream. Like, share, and respond to positive posts and reply to the negative ones. This will encourage people to keep talking about your event and build word of mouth. Have a dedicated person post live insights on your social media. For example, they can do Facebook live Q&As with speakers or post Twitter polls about an issue that was raised during a session. The same person assigned to populating your social media must also be responsive to any problems. And it’s also wise to have a plan to deal with customer service issues that may arise. Social media enables people all around the world to experience events they often can’t attend. Use your social media posts to show next year’s potential attendees what they’re missing. This will not only nurture existing relationships, but will also intrigue new potential supporters. Those who couldn’t attend or choose not to might be enticed by what you post and make a note not to miss your next event year. Your event offers a great number of content opportunities. From pictures to quotes to videos, a great event can help generate content for months to come. It’s key to have your team on the same page and task them to write down any standout quotes or favourite moments. It’s also smart to organise the specific list of images you want to capture ahead of time so you can ensure they’re taken. You will be busy during the conference, so it’s important to prepare as much content as you can before the event. Automate your social posting by creating a library of assets and pre-written posts to share throughout your event. Then use a free social media automation tool like Hootsuite to share them when it’s most relevant. Have a chat with your key speakers before the big day and when a speaker mentions a recent study, attendees will be over the moon to find a link to it on social media already. Continue making connections. Don’t forget when you’re networking with attendees to also connect with them on social media. The online conversation continues even when the event is over. The final phase of your social media event or conference marketing is about follow-up, reengagement, and key learnings. One of the biggest portions of the conversation should now be focused on media coverage of your event. You have accomplished a lot at this point so this is your chance to celebrate — go ahead and brag a little by sharing all the great coverage you’ve gained. Reach out to the bloggers and news writers in your target market to increase your coverage. Another large aspect of the post-event conversation should be dedicated to feedback from the event. While you should enjoy the positive feedback don’t neglect the negative. Thank critics for their thoughts, and take their feedback into account when organising your next conference or event. To make this feedback more actionable, you could share a post-event survey with followers and supports to find out how exactly you could make your next event even better. Don’t forget to post some thank yous or wrap-up messages for you conference or event. Finally, keep your followers and event attendees fully updated on your subsequent events. If this is your main annual event you can even begin selling early-bird tickets for next year immediately. Get people to commit now, when they’re full of happy memories. Make a short video. Focus on how the conference went, and include one or two testimonials, your own personal thoughts and your key message. This can be shared across all social networks and on your conference website. Tag people in your pictures. You can share photos on your social networks, tagging the people photographed. And if you have photos of the people on your list of influential attendees, speakers and organisers, tag them and mention how it was great to meet them in person, and refer to any projects or ideas you discussed. Compile a TweetWall. Make a collection of the top tweets about your event or conference and add them to a TweetWall. Include a few of your own tweets and some that are about the presentations. These are fantastic to share with future event organisers. When you’re planning your social media strategy, first set out the objectives of running the campaign. Once you decide this it brings you closer to measuring the success of it. If the primary objective is to increase registrations, you need to be able to measure this to know what’s working (and what isn’t). The only way to know if the likes and shares are working is to track performance. All social media sites offer a full understanding of the engagement your posts get, everything from likes up to profile clicks. These figures are important, but if your ultimate objective is to drive registrations, then this is what you should focus your attention on. Apply UTM codes to all links to your site on the social networks you use. They enable you to track each visitor to your site. Don’t forget the importance of the post-event survey, these are key to finding out crucial information on your target market. It’s here where you can ask your delegates specifically where they found out about your event. This along with the tracking links can help you gauge the importance of social networks for your event. Social media is flexible and often fun to use, but like other types of marketing, it requires preparation, focus and a solid strategy. Be the master of your social media event strategy, and enjoy the increased reach it can bring.